Little Gate Farm is delighted to announce the launch of their Supported Apprenticeship Scheme, following a grant from the National Lottery. Creating apprenticeships for 50 young people with learning disabilities and autism, the Beckley based charity hopes to bring job prospects and career fulfilment to adults that may have previously felt limited to seek such opportunities. Recently celebrating its fifth birthday, the local good cause, who aim to enrich the lives of learning disabled, autistic, and vulnerable children and adults in East Sussex, have supported over 40 people with autism and learning disabilities since 2014 into paid work. 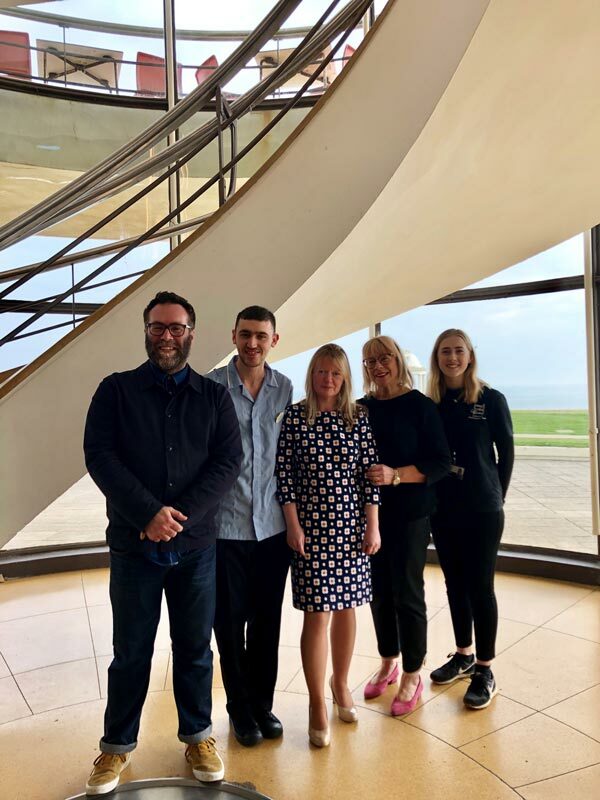 Bexhill’s De La Warr Pavilion is one of the first businesses to back the scheme and will be supporting two apprentices in 2019. The scheme will ensure that both the employer and apprentice will be fully supported by a job coach and training provider throughout the funded apprenticeship. From hospitality to business administration, childcare to IT, landscaping to carpentry, the charity is keen to meet with employers who would like to be part of the scheme. Steven is also working towards his Level 2 in Health and Social Care at Ashridge Court in Bexhill. Caroline Braime from Ashridge Court said, “Steven has a wonderful work ethic and he is an asset to the home’. Little Gate Farm is a registered charity located in Beckley, East Sussex. They provide work training and supported employment to help adults with learning disabilities and autism into paid work, which in turn brings financial benefits and increase in self-esteem, physical and mental health. The work training programme offers opportunities to gain new skills and confidence. Work experience is gained at the farm, caring for animals and working on the charity’s horticulture project. Contact deeflower@littlegate.org.uk / 07498 586343 for more details about the charity and Apprenticeship scheme.